Ryan Companies plans to add a 400,000-square-foot distribution center to its Pullman Crossings campus on the city’s Far South Side. The spec warehouse will join a Whole Foods shipping facility that opened last year on the 62-acre property where 111th Street meets the Bishop Ford Freeway, according to Tim Hennelly, the Great Lakes region president for the Minneapolis-based developer. Ryan Companies plans to break ground on the building in May. The new warehouse will be divided into four equal sections to accommodate multiple tenants, Hennelly said. He called it the first phase of a plan that might eventually include another similarly-sized logistics facility on the site. Speaking Thursday at an event hosted by Bisnow, Hennelly credited the federal Opportunity Zones program for helping his company line up investors for the project, telling the audience it “couldn’t make economic sense of that deal up until Opportunity Zones” were introduced. Created as part of the Tax Cuts and Jobs Act of 2017, the Opportunity Zones program designated more than 8,700 census tracts around the country — including 325 in Illinois and 135 in Chicago — where investors could get capital gains tax breaks on money they invest in land development. 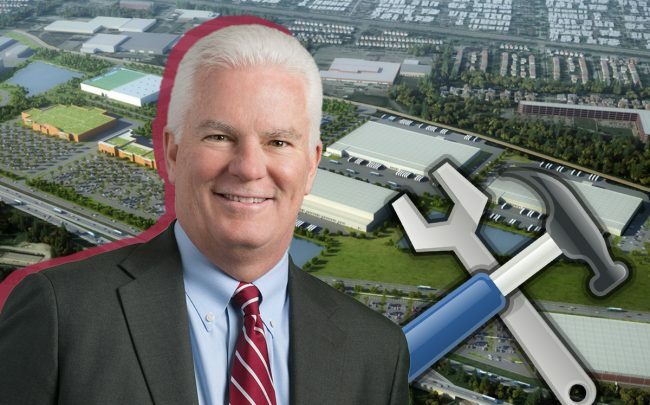 Hennelly added the industrial sector is “probably the best place to chase Opportunity Zone funds,” because its relatively quick construction timeline allows investors to maximize their returns inside the program’s 10-year window. Already more than 100 funds nationwide have generated billions of dollars in combined investments for the young tax program, with everyone from Anthony Scaramucci to the Blue Man Group angling to get in on the action. Chicago-based Origin Investments raised $100 million for its Opportunity Fund in less than a day, demonstrating the insatiable appetite investors have built up even as they wait for the U.S. Treasury Department to release crucial guidelines on how the tax breaks can be earned. Separately, the Chicago Plan Commission was scheduled Thursday to hear a proposal by Ryan Companies to build a 265-unit senior housing complex in the city’s Portage Park neighborhood. Chicago last year ranked among the nation’s hottest markets for industrial development, as demand for e-commerce fulfilment pushed vacancies in the area to historic lows. Hilco Development Partners scored city approval last year to build a 1 million-square-foot logistics warehouse in the Little Village neighborhood, and followed up this month by buying the site of a shuttered coal plant in Pilsen.